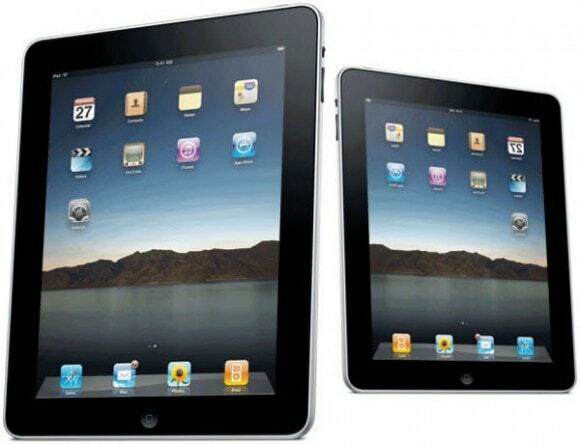 iPad Mini Coming in October? iMore is reporting that one of their reliable sources (let's call him "Dime Bag Willie") has told them that Apple is most definitely working on a smaller iPad. Willie didn't say anything about the specs, but this smaller iPad is scheduled to be launched in October of this year. Like rumors we've heard in the past, Willie's iPad Mini is going to be priced in the $200 to $250 range. While we don't know the specs, Willie reported that it would have the same resolution as the new iPad, and that's a 2048x1536 resolution display. That, actually, is why I hope this rumor is true. I don't think I'd buy one but it would be neat to look at. According to Willie the resolution isn't changing because that's supposed to make it easier for developers to port their apps to what iMore is predicting is a 7" screen. I'm not so sure this is true; in fact I suspect that the new iPad Mini might work better if it had a resolution matching the original iPad's 1024x768. Of course, there already are 7" tablets with nearly that resolution so Apple might feel the need to surpass them. Update: I was thinking things backwards. The higher resolution is more likely because the icons and menus will shrink with the screen size, but the ones built for the higher resolution screen won't look be as tiny as the ones made for the original iPad's 1024x768 screen. They'll be 4 times the size and thus easier to use. So is this one true? I have no idea, but it would be fun to see. The problem with the 1024×768 rumor is that the interface is 70% smaller, but fingertips are not going to be 70% smaller to match that. Icons and UI elements that are easy to manipulate on a 10″ screen may not work as well on a 7″ screen. I think your math was right to begin with. It’d run standard iPad apps at 1024 x 768. I see that as a ~30$ reduction, going from 9.7″ to ~7.85″ screen. It’d be the same for Retina. It’s a 30 dollar reduction? I’m not sure it’s worth it. DOH! Percent! And you could have fixed that typo! 70% smaller or 30% smaller? No way it ships with higher pixel density than the ipad3. It’ll probably be an ipad2 spec-wise (including screen resolution), shrunk down to the 7.85 inch size. That will give it the 163 ppi as discussed elsewhere. 163ppi is less than the 169ppi of the NookColor. they’re not gonna put out a small iPad with a better screen than the new full size one for half its price. If they can hit the 200 dollar price point, it will be very interesting. I own a 10 inch tablet for one reason: to read pdf files. However, at this point, I have purchased enough apps and dictionaries from the Google and Amazon app stores that it would be tough to switch to an Apple at this point. $200 is 40% the cost of the base 10″ iPad, seems a bit low to me. Apple hasn’t traditional worried about competing with the entry level products. I don’t think tablets like the Asus MeMo are going to put much pressure on them and I doubt they are concerned about the smaller brand sub-200 tablets. Seems a bit weird that Apple would accept a reduction in the size of UI elements. I’m sure people will but the tablet anyway but it is unlike Apple to release something so inconsistent with the current line-up and expect everything to translate perfectly. But you can get that button back by doing a factory reset (under the settings menu). thanks will that erase anything? and where is the right place to write? Thanks.